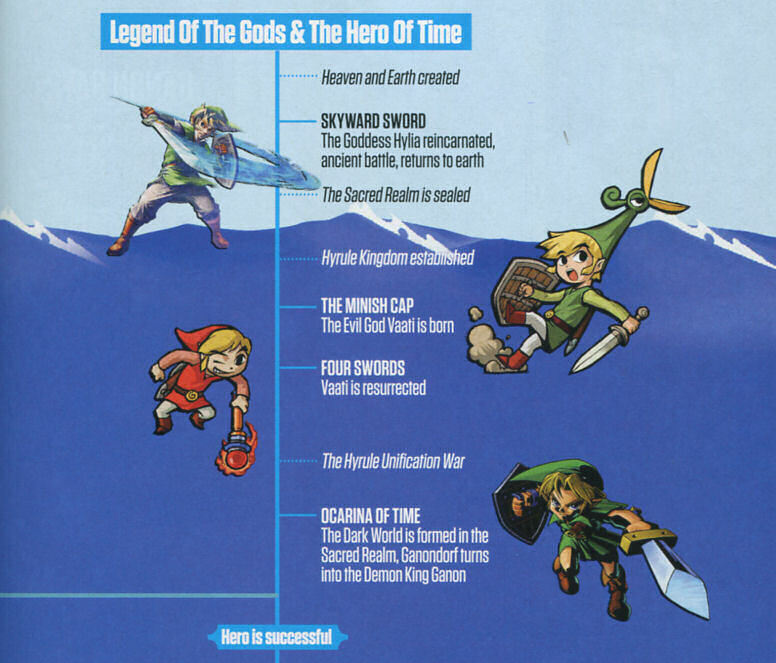 In the latest issue of Nintendo Gamer Magazine, there is a two-page feature highlighting the recently revealed Legend of Zelda Timeline. Within the article, the writer seems to hint that the Legend of Zelda community had worked tirelessly over the years, mending together what many believed to be a fairly coherent timeline, with just a few loose ends to tie together. So why did Eiji Aonuma decide to just pull the rug out from underneath us? 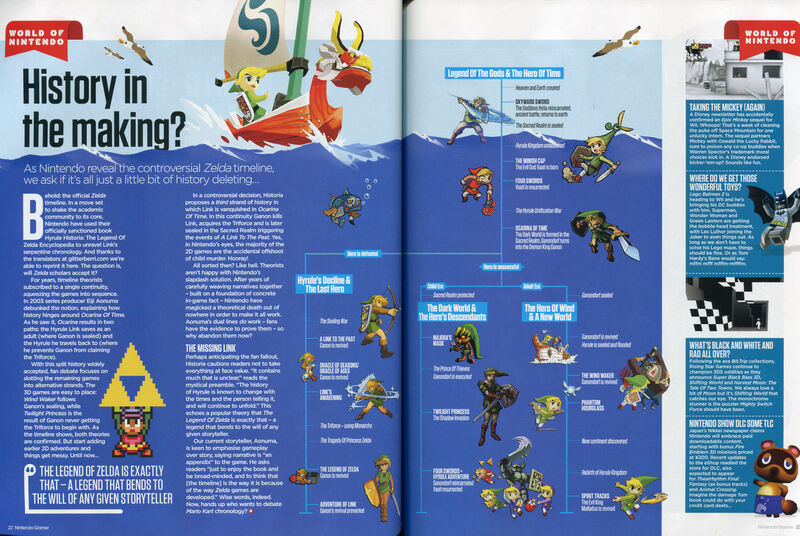 Here is what Nintendo Gamer Magazine had to say. All sorted then? Like hell. Theorists aren’t happy with Nintendo’s slapdash solution. After years of carefully weaving narratives together – built on a foundation of concrete in-game fact – Nintendo have magicked a theoretical death out of nowhere in order to make it all work. Aonuma’s dual lines do work – fans have the evidence to prove them – so why abandon them now? Do you think Nintendo made the right decision by revealing the Zelda Timeline? Did you prefer theorizing to piece together the puzzle yourself? Has the reveal really hurt a significant portion of the Zelda theorizing community? Let us know by posting in the comments below. You can check out the official Nintendo Gamer website for information on how to purchase this particular issue and subscribe to the UK based magazine.